What is your home worth? Let us prepare a free, custom market analysis for you. No obligation, it's that simple. Let our award-winning relocation team make your move worry-free whether moving across town or around the world. Unique culture. Unlimited earning potential. On-site real estate school. Just some of the ways we stand apart from the others. Our local search connects you with businesses in North Texas who can assist you with everything from home repairs and pest control to remodeling and landscape. Why choose us? CENTURY 21 Mike Bowman, Inc. has been named the #1 Office in the CENTURY 21 System 18 Times. 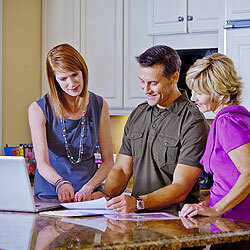 We provide numerous marketing resources and tools to help you sell your home. Behind the scenes, our 30+ in-house staff works closely with your agent from advertising to showing and feedback coordination to ensure a smooth and successful transaction. Visit our selling a home resource guide for tips on how to sell and list your home and finding the right REALTOR® to help you market your home. Selling a home in Fort Worth or Dallas and the area cities can be a daunting task, but let our real estate professionals guide you every step of the way. Where can I find a real estate agent? 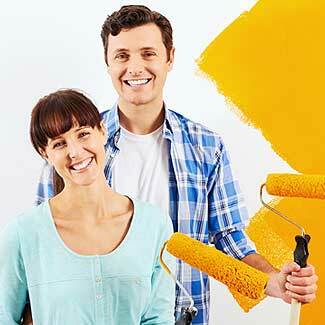 Let us help make your Homes for Sale process effortless. Relocating to the Dallas and Fort Worth metroplex? Let our award-winning DFW relocation team help you with your relocation needs. Ask us today for a free market home analysis to get started in the home selling process. Our award-winning team and REALTORS can assist you today. Plus, we provide an in-house real estate feedback team to keep you informed. Find a real estate agent from our website or contact us today and we'll get you connected. How do I buy a home? Where can I find homes for sale? Find homes for sale in the Fort Worth and Dallas area including all surrounding cities including Southlake, Grapevine, Arlington, Keller, Colleyville and more. Search Fort Worth and Dallas real estate information and agents. We have the latest school information and cost of living tools to help you find and purchase the home to fit your needs. Search all North Texas homes on our website. Use our site to search all Fort Worth and Dallas and area cities, too. We offer property information for new construction, commercial, HUD, ranch, lots and much more.Looking for a custom home builder? We can assist you in the new construction process and Fort Worth and Dallas builders. We are the best place to start your Fort Worth Dallas real estate search. CENTURY 21 Mike Bowman, Inc. is a one-stop shop for real estate site that gives you the local tips and trends about homes for sale, homes for rent, open houses, HUD homes, neighborhood insights, relocation assistance, and real estate markets to help you figure out exactly what, where, and when to buy, sell, or rent. You can also find a real estate agent, request a market analysis or home valuation, and see home values in your community. Get advice and opinions from local real estate agents, brokers, and other local experts on our online real estate community. We offer real estate insight and advice on buying a home and selling a home in the DFW metroplex. Learn about the home buying and selling process including how to list your home and finding the right Fort Worth Dallas real estate agent to help you understand the real estate market and process. Not only can you search all North Texas homes for sale but you have access to some of the top real estate agents in the country. Our award-winning customer service team is ready to help guide in buying or selling a home in North Texas. Interested in a career in real estate? CENTURY 21 Mike Bowman, Inc. is a full service real estate firm consisting of a group of talented individuals ready to assist you whether you are buying or selling a home. Let us make your home buying or selling transaction as stress-free as possible. We hold free real estate career seminars each month. Attend our real estate seminar to answer your questions: How do I become a REALTOR? How do I obtain a real estate and REALTOR® license in texas? How do I get a Texas Real Estate License or practice real estate in TX? What are the real estate licensing requirements in Texas? Is a career in real estate right for me? Where can I find a Texas real estate school with real estate exam prep courses?